20.09.18 Overheating in homes – overheating issues in homes are a growing concern and the construction industry regualtions recognise this, as outlined in this article. The London Plan recommends key planning decisions to include reduce the amount of heat entering a building in summer. Enviroblinds external shading products are just the job! 16.06.17 External venetian shutters made in Italy – Introducing our new range of stylish and functional external venetian shutters made in Italy. 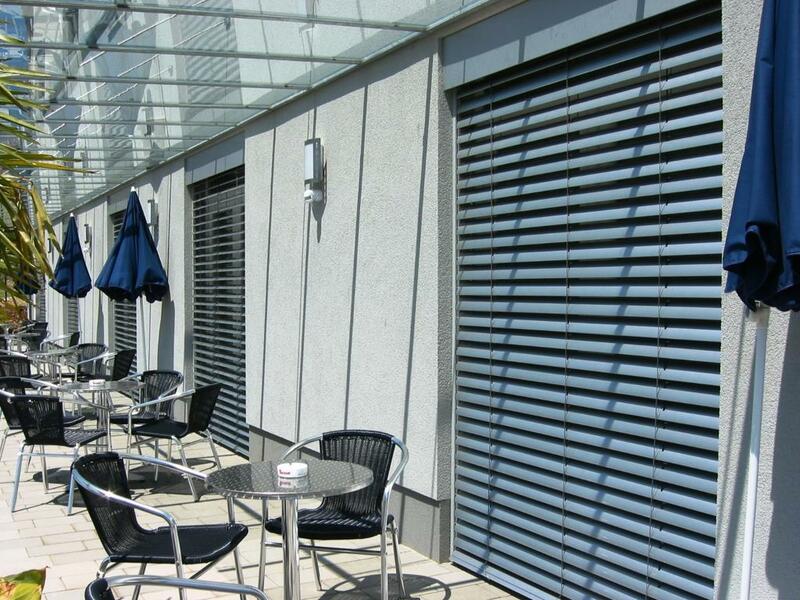 Enviroblinds external venetian shutters are very effective at solar shading, blocking the sun before it hits the window, tilting but also fully retractable unlike many other styles of shutters and louvres. Available in wood and also extruded aluminium in any RAL colour, our shutters are extremely tough and will protect the window from accidental damage and break-ins. 31.03.17 New sliding and folding panels available from Enviroblinds – Introducing our new range of sliding and folding panels manufactured in Slovakia. 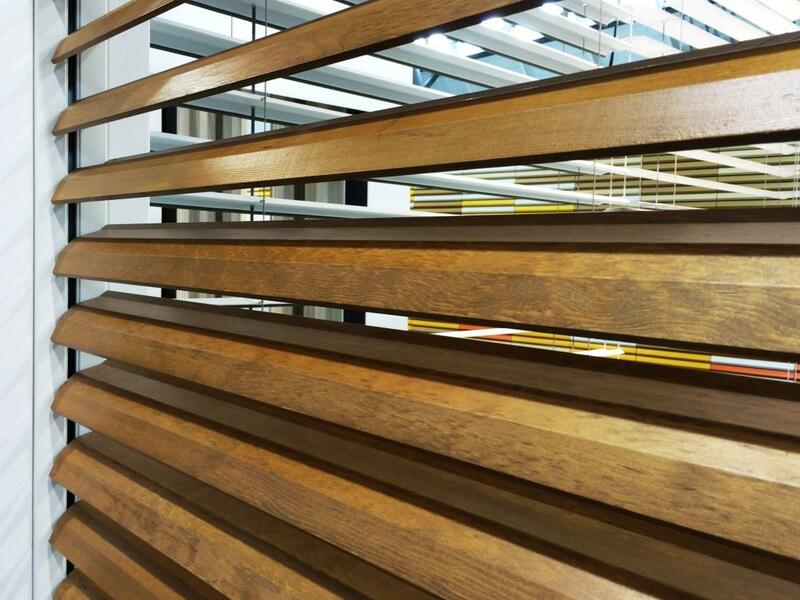 Available in wood, aluminium or canvas, these panels offer stylish and versatile solar shading. Please click here to see our brochure. 25.12.16 Wishing you all a Merry Christmas & New Year from all of us! 25.11.16 Superb installation of our premio external venetian system at the new build regional institute for cancer and radiotherapy in Strasbourg. Solar shading is key to providing comfortable indoor temperatures, essential to health and wellbeing of patients. These premio venetians are particularly energy efficient because they tilt and can also move up and down to gain the full benefits of the sun’s rays in winter whilst blocking out unwanted heat in the summer months. Located on the outside of the window the venetians are a measure of infection control compared with internal blinds or curtains. Read the full Case Study ‘Hautepierre Hospital’ or find out more on the external venetians product page. 14.10.16 Kinetic shading for all seasons & special offer – Unwanted solar gain in the summer can become useful solar gain in the winter when used with kinetic shading products, passively heating buildings and saving on energy. 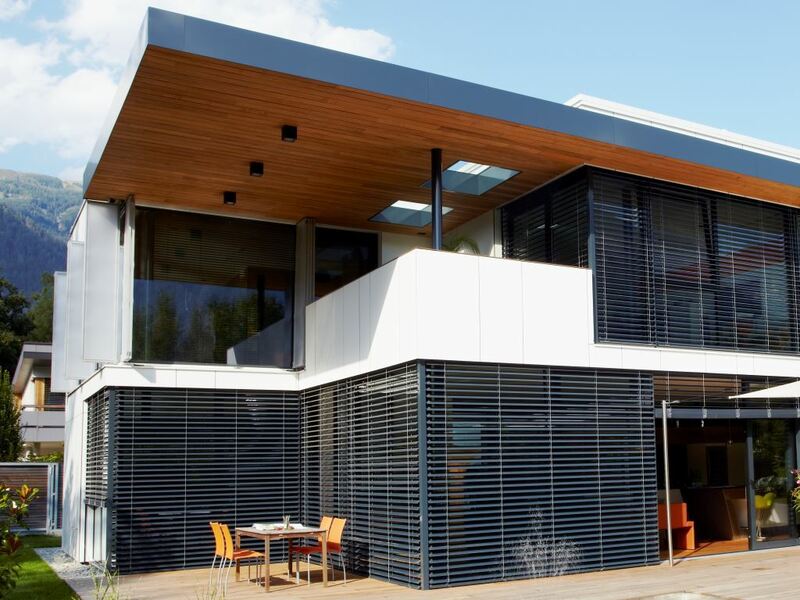 Kinetic shading products, such as, external roller blinds, screens and louvers, can be opened or closed to harness this useful solar gain, unlike window film, low g-value windows or brise soleil which are static solar shading systems. Enviroblinds has an extensive range of external roller blinds, screens and louvres and are offering complimentary IES thermal modelling to assess the real energy saving benefits. 05.08.16 Another record hot day, today is predicted to be the hottest September day in the UK for more than 50 years, link to article here. NHS England has declared a level two heat alert with temperatures that can have a significant effect on a person’s health. Dr Thomas Waite, from the extreme events team at PHE, said: “Think today about what you can do, and for those around you, to stay cool during the daytime and particularly at night. For some people, such as older people, those with underlying health conditions and those with young children, summer heat can bring real health risks.” Protect your building and its occupants from excessive overheating by reducing unwanted solar gain with the use of external shading. 05.08.16 Heat Stress – external shading is one of the proposed solutions to reduce overheating at Addenbrooke’s maternity unit in Cambridge where summer time temperatures can reach over 30 degrees. Click on this link to read the full case study published in the CIBSE Journal August 2016. Reduce overheating providing comfortable indoor temperatures. Give occupants control of their shading requirements to regulate office temperatures and make their working environment more comfortable. Reduce the sun’s glare on PC screens. Provide shelters for outside premises and car parks enhancing outdoor facilities for staff which can be enjoyed all year round. Access to outdoor green space in the workplace has been shown to reduce stress and improve staff wellbeing and profitability. 08.07.2016 Solar window film compared to external shading – how to choose the best solution? Most of the information on the web compares the solar gain reduction of solar window film to internal shading, so we have put together a simple comparison between solar window film and external blinds. 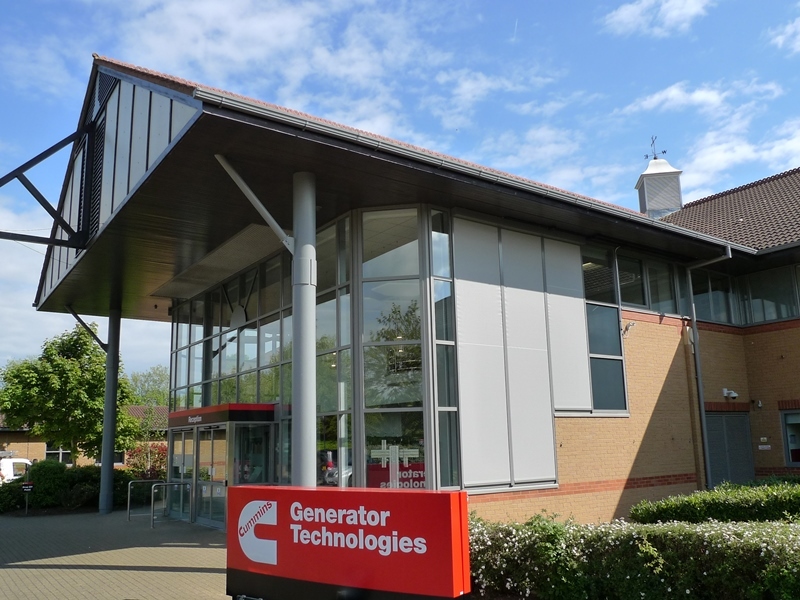 Solar Heat Gain & Energy Savings – If your main concern is dealing with overheating from solar gain then external blinds perform much better than solar film. 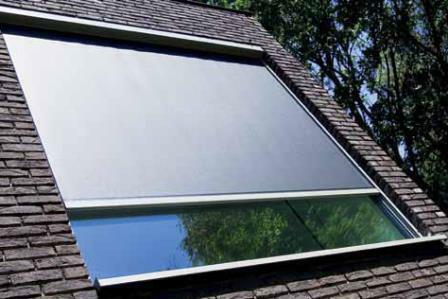 Solar gain heat transmittance is reduced by up to 90% using external blinds compared with just 50% using window film. Reducing solar gain is not the only energy saving benefit of external blinds, however, as contrary to solar window film; external shading also reduces heat loss and therefore heating bills in winter. In the winter months external screens can be raised giving benefits of natural light and heat from solar gain neither of which are offered by solar window film. Light & preservation of outside views – Traditionally external roller blinds and shutters blocked out a large amount of light when in use compared with window film which effectively reduces glare whilst still letting in natural light. 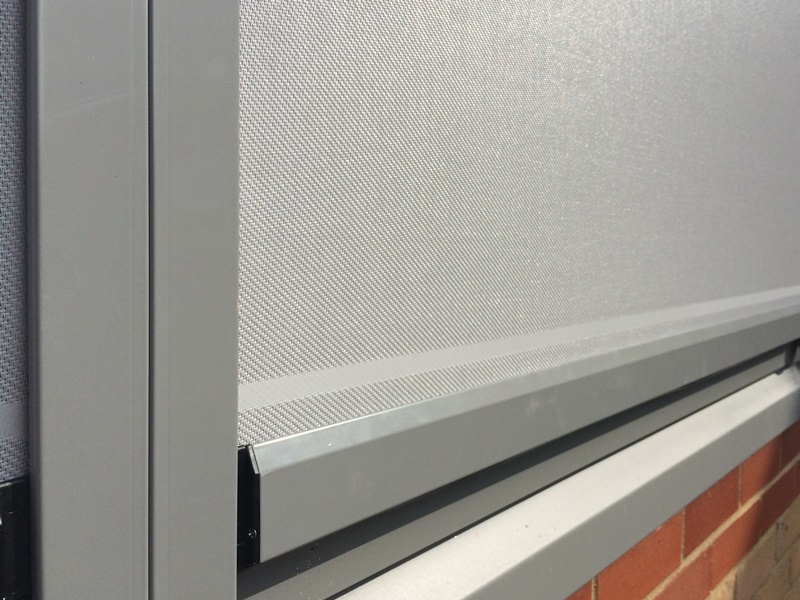 However, the development of external screens in new fabrics including polyester and glass fibre allows the sunlight through, retaining the view outside whilst reducing the glare and heat from the sun. An additional benefit of external screens compared to solar window film is that they are retractable and can be raised and lowered as required for light and passive solar gain. Solar window film, however, can be a good option particularly for listed buildings where external shading is not permitted by planning. 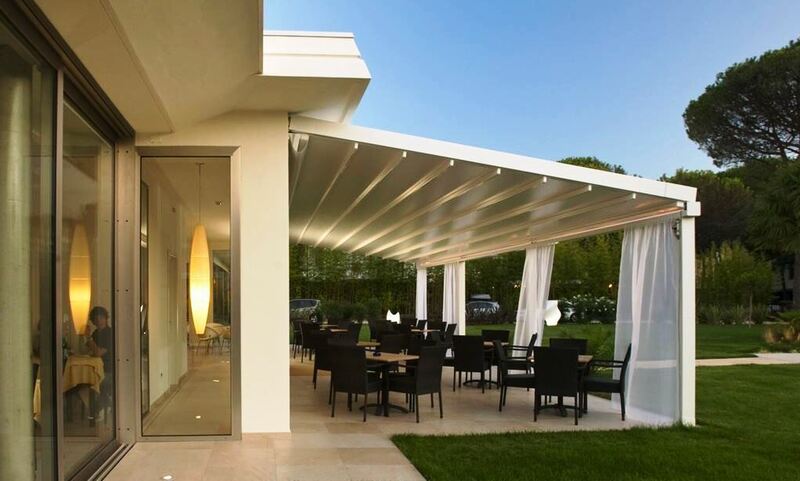 01.04.2016 Enviroblinds aluminium pergolas are a stylish and practical way of transforming an outdoor space into additional living space and perfect to provide extra all weather seating for restaurants and bars. 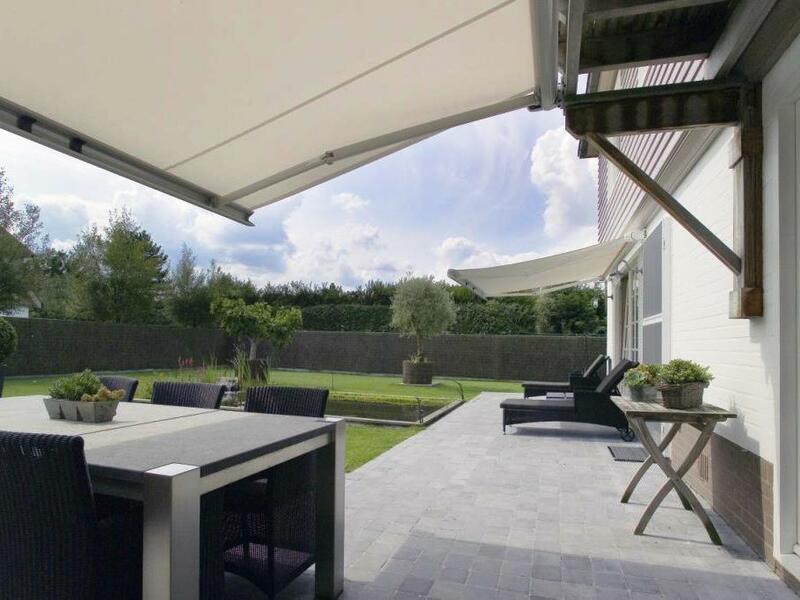 The system consists of a fully opening and closing roof in water proof fabric or aluminium blades. Roofs with tilting aluminium blades can be adjusted to control the sun and ventilation. When fully closed the rain is dispersed into integrated water gutters draining into the posts. Optional sun, wind and rain sensors will automatically close or open the roof to give complete peace of mind. To fully close from all sides, sliding doors in glass or fabric screens with aluminium frames can be specified. Integrated lights and heater options provide real viability for all day and all year use. 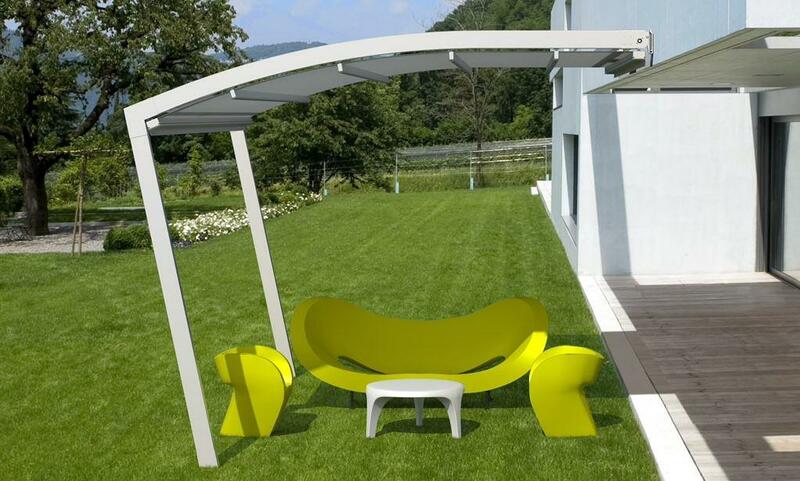 Find out more on the Pergolas Product Page. 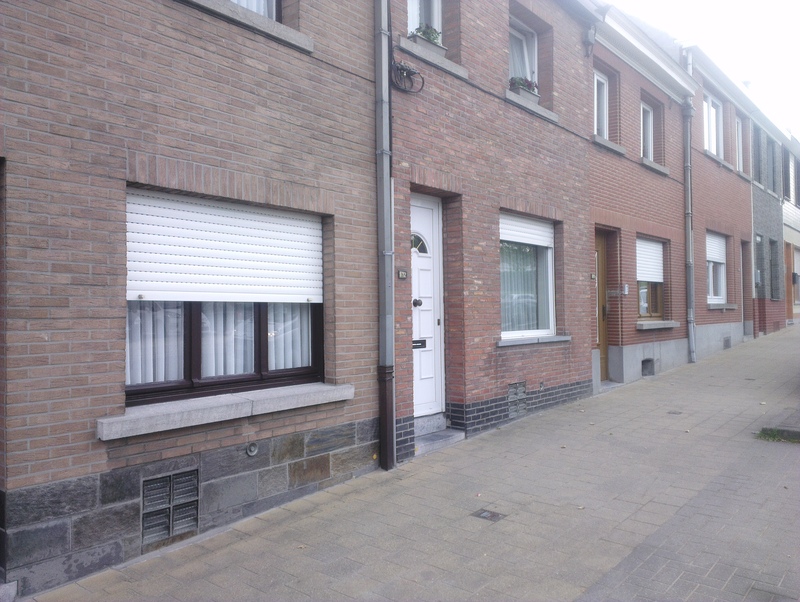 26.02.2016 Join the rest of Europe and save on heating and cooling energy by installing Enviroblinds external shutters. 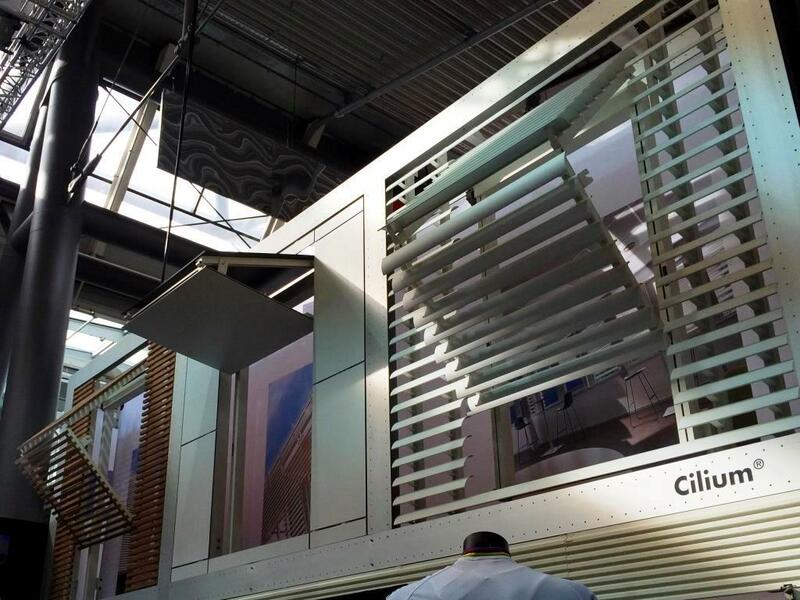 Nominated by CIBSE Building Performance Awards in 2014 as energy saving product of the year, these shutters can save on heating energy by 20% and cooling by 90%. 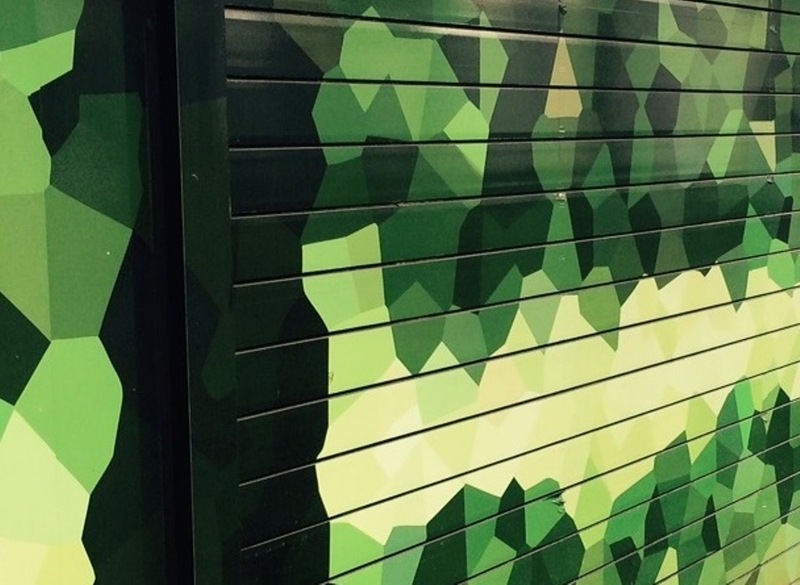 Find out more on the Roller Shutters Product Page or see the previous blog entry for latest article written by the architect and building scientist David Croghan. 24.02.2016 Enviroblinds are pleased to present a domestic energy use case study by chartered architect and building scientist Dr David Croghan DipArch, MA, PhD, ARIBA, FRSA. The study focuses on energy conservation in the authors home and studio. 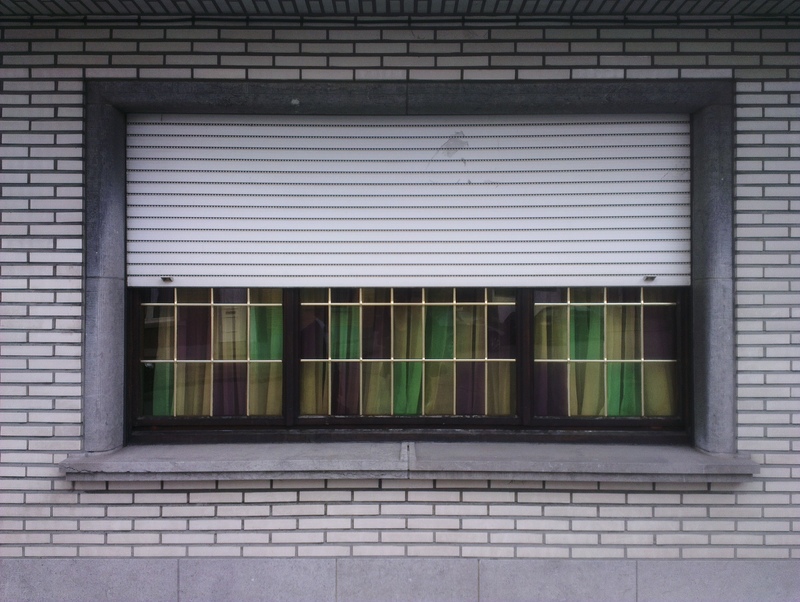 External roller shutters are included to improve energy efficiency by limiting heat losses; shutters are found to improve the window U-value by 25%. Shutters are also used as a summer sunshade; they are found to reduce solar gain by 80-90%. The paper includes an interesting set of thermographic images clearly illustrating the energy saving benefit of shutters in cold weather; lined curtains inside patio doors are not nearly as effective as external window shutters in reducing heat loss. 1. Prevent Overheating – External roller blinds are much more effective than internal blinds at preventing overheating from exposure to the sun and are endorsed in the Government Zero Carbon Hub Guide. The blind stops the sun from getting through the window and keeps the room cooler. 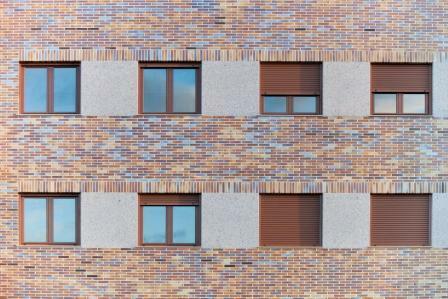 With temperatures set to rise in the UK, improved insulation and frequent use of glass, the issue of overheating is a real problem which is often overlooked in building design. With escalating utility bills, air conditioning is an expensive solution compared with external blinds which offer so many other benefits. 2. 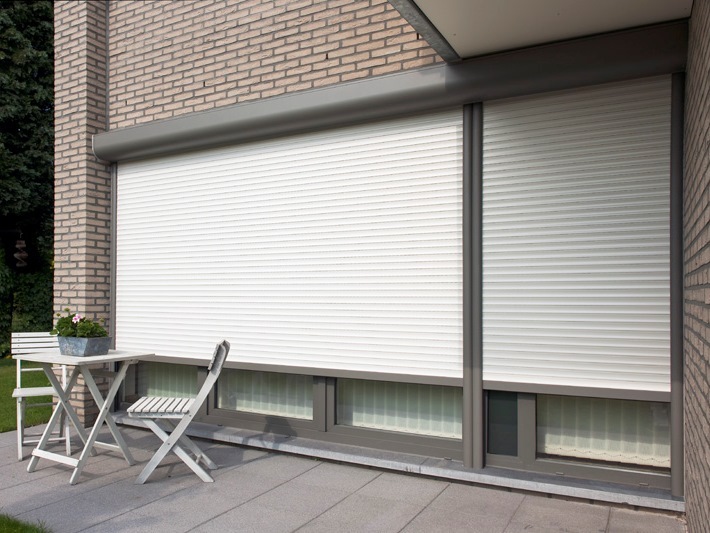 Prevent Heat Loss – External roller blinds not only reduce the need for air conditioning but also reduce heating bills as they stop the warm air from escaping out the window, and are popular in Belgium and Germany with similar climates to the UK. 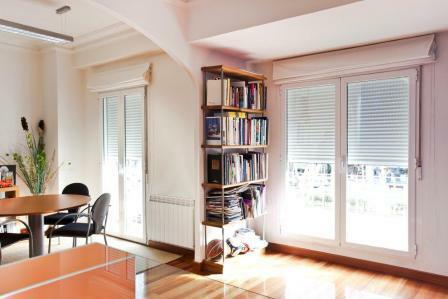 Research by the European Solar Shading Organisation (ES-SO) shows that, in wintertime, external roller blinds reduce heating energy demand by 10%. As energy saving is building specific, Enviroblinds offers bespoke thermal analysis to quantify the energy saving benefits. 3. 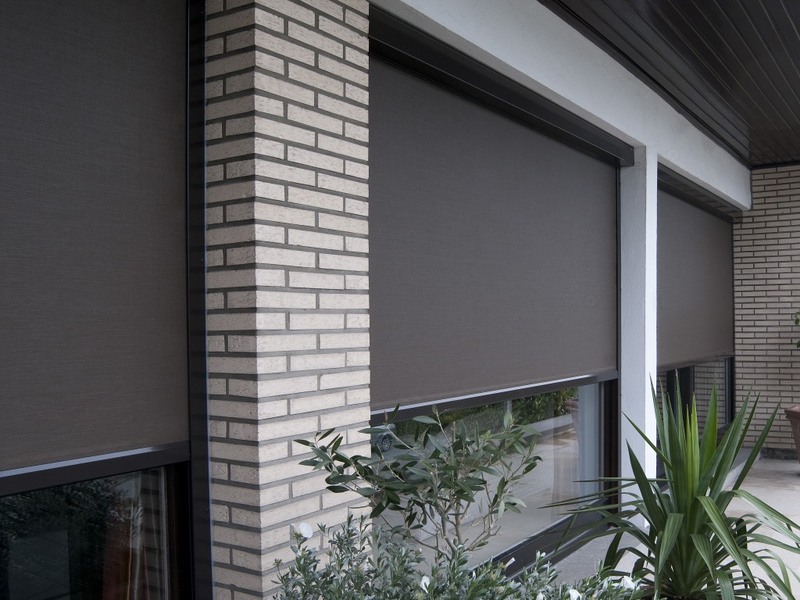 Blackout – As mentioned earlier, external blinds can completely black out a room in a closed position which is great for improved quality of sleep. 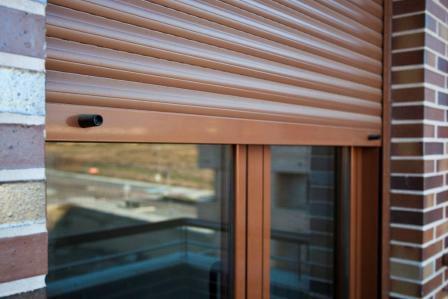 In a semi closed position you can even control the infiltration of light and ventilation through the perforations in the slats. This is great for the home and ideal for hospitals and schools. 4. Acoustic Insulation – lowering the blinds not only offers black out and thermal insulation but also keeps the noise out. Ideal for comfortable urban living. 5. Security – security shutters are technically made from extruded aluminium but foam filled blinds deter burglary and vandalism by providing protection to the window and concealing the contents of the room. Enviroblinds offer a range of wide slats and options for higher density foam to improve the strength and overall protection of the blind. Systems can be fully automated and programmed to open and close hence optimising window protection. 6. Aesthetics – Last but not least aesthetics. 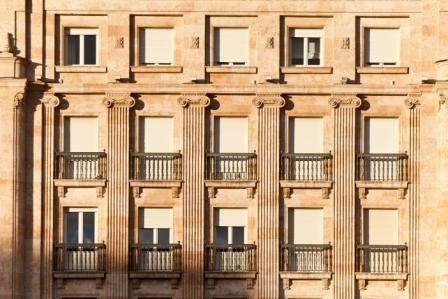 Yes external blinds can and do enhance aesthetics of buildings. 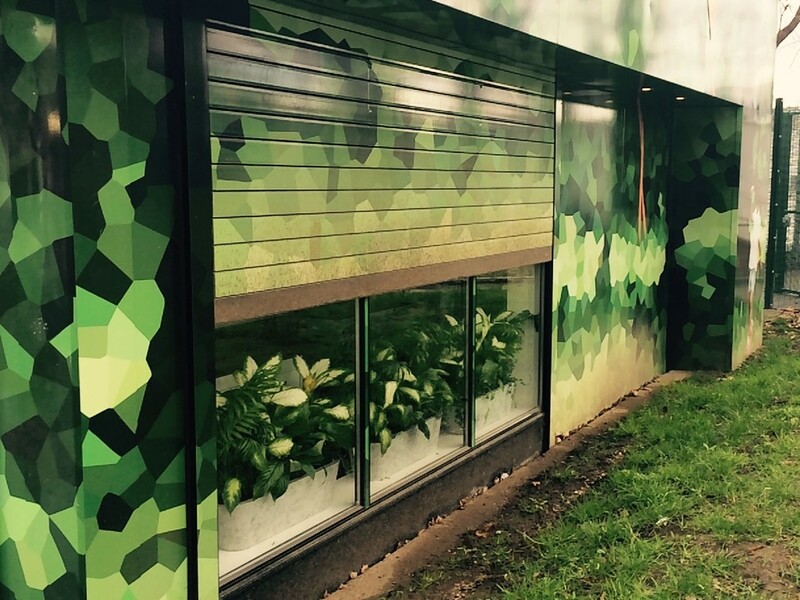 Enviroblinds offers a extensive choice of colours and systems to suit either retrofit or new build installations to stylise and uniform a building’s façade. Much better than seeing apartment windows shaded with beach towels or table cloths in the summer time! 10.02.2016 Enviroblinds manufacturing partner Sunbreak provided the bespoke shutter installation at the Eleanor Roosevelt Children’s Emergency Centre. A mix of fixed and sliding louvre shutters in golden powder coated aluminium add a warm contrast to the otherwise monochrome façades. Read the Enviroblinds Case Study ‘Eleanor Roosevelt Children’s Emergency Centre or find out more on the Enviroblinds product page for louvres. 29.01.2016 Enviroblinds are pleased to present a new range of rooflight screens with an option for total blackout. 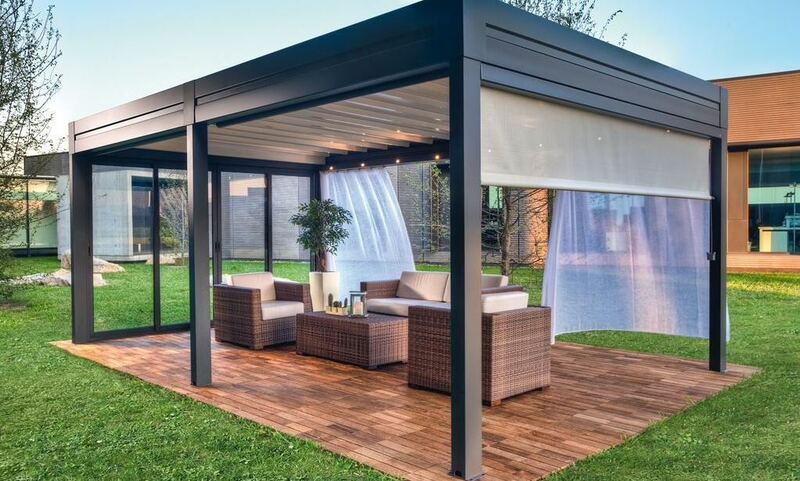 Featuring a zip seal screen fabric and window frame mounting option, this new shading product ensures perfect blackout and cool comfortable temperatures on sunny days. The screens can be mounted to operate sideways, top-to-bottom and bottom-to-top to offer a multitude of options including translucent and thermal fabrics. 16.12.2015 Architizer, a leading online platform for architecture and design, features external shading in their blog article. These buildings use shading as a design asset, creating visual interest and movement with the use of kinetic panels and screens. 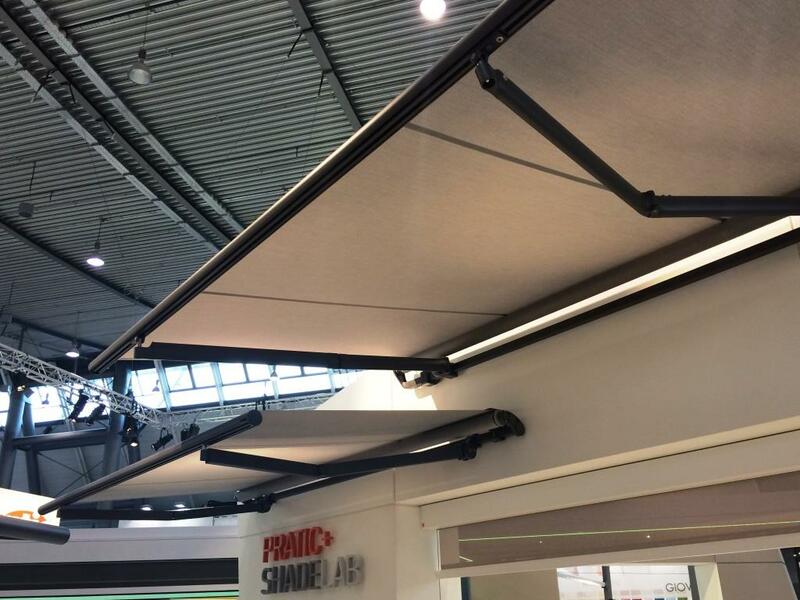 Here at Enviroblinds we offer bespoke shading solutions, including kinetic systems, do get in touch with details of your project. (Images from Architizer article). 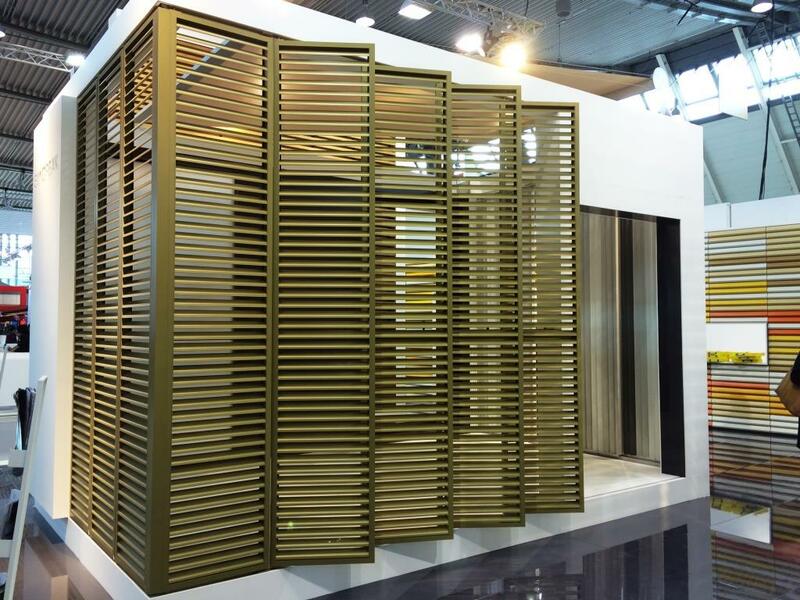 29.07.2015 Enviroblinds have sourced a new range of louvres from Sunbreak, Italy’s leading designer and manufacturer of shading products. These louvres made from extruded aluminium or composite wood can be fixed, sliding, pivoting or a combination of all three. 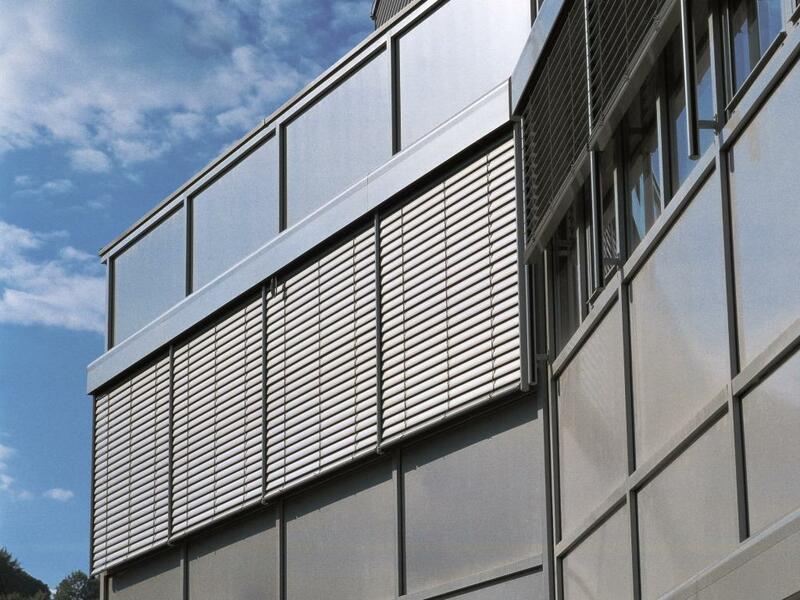 These stylish and effective shading devices save energy, enhance the building façade and provide privacy. 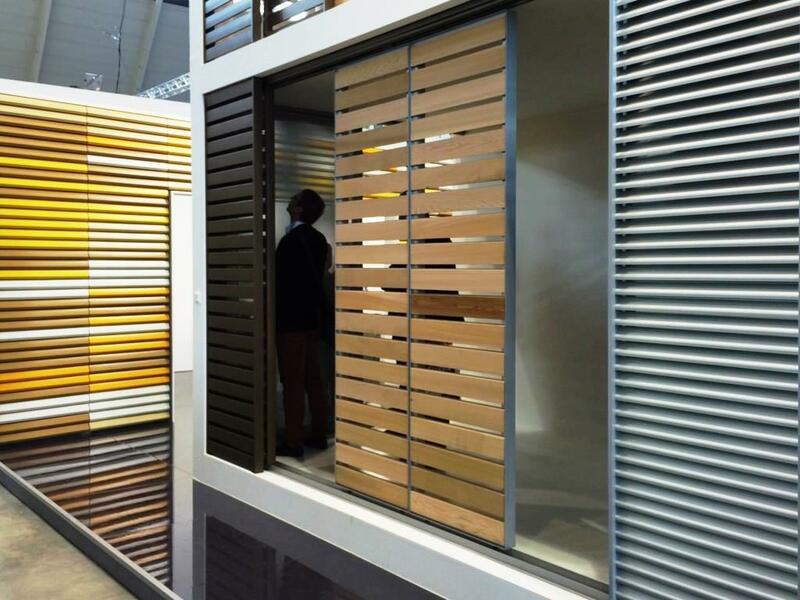 The Giax Tower in Milan features a Sunbreak louvre system comprised of horizontal extruded aluminium slats with a wood colour finish. The louvres create an architectural design feature, protect the interior, screening sun rays and heat in summer and providing protection from the weather in winter. 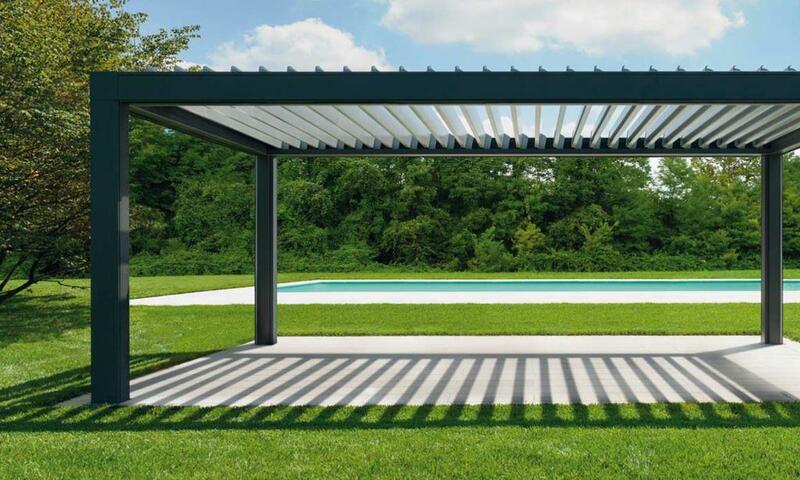 13.03.2015 Enviroblinds offer a new stylish range of aluminium pergolas and verandas by the Italian manufacturer Pratic, renowned for their product quality and design. 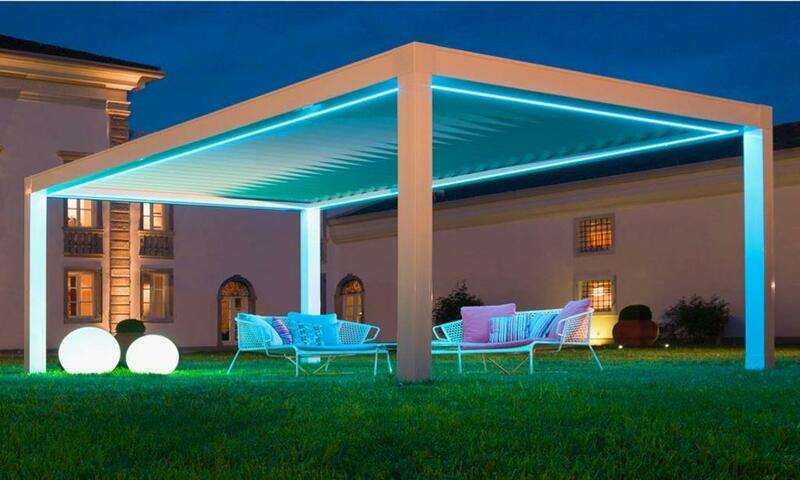 These outdoor shading structures can be free standing of fixed to the side of a building. 05.03.2015 Enviroblinds visit EcoBuild at ExCel London. Having exhibited at Ecobuild for the past two years we decided to give it a miss this year. We noticed a clear lack of external shading suppliers although many of the seminar and conference speakers were recommending the use of external shading to reduce over heating. With the improvements in building envelope energy efficiency and air tightness, overheating is becoming a common problem which is rarely planned for in building design. Luckily we offer retrofit solutions. 27.02.2015 Thanks to all of you that came to our evening at the Brighton Toy Museum. We were spoilt once again with a special demonstration of Chris’s lifetime train collection accompanied by Bing Lyle on the piano. 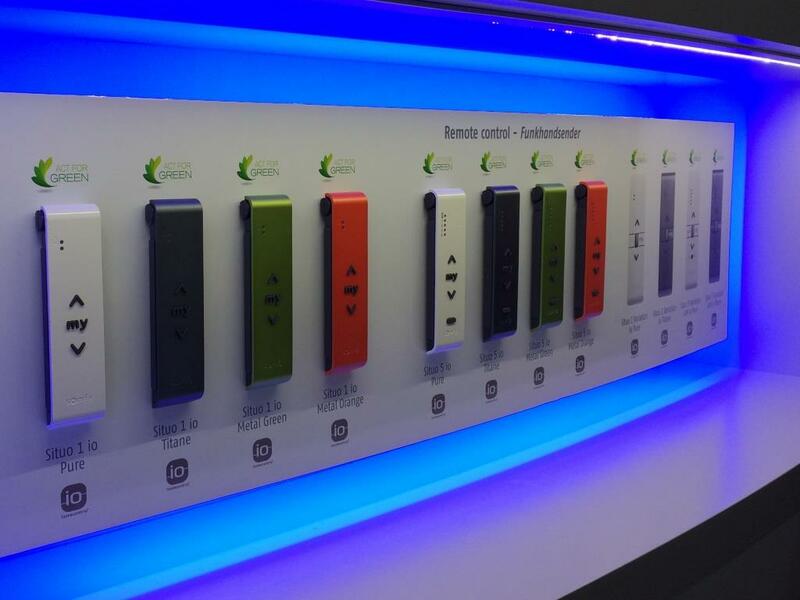 24.02.2015 Enviroblinds visit R+T Stuttgart, the leading world trade fair for roller shutters, doors/gates and sun protection systems. The triennial exhibition is the meeting place for new products and innovative design. 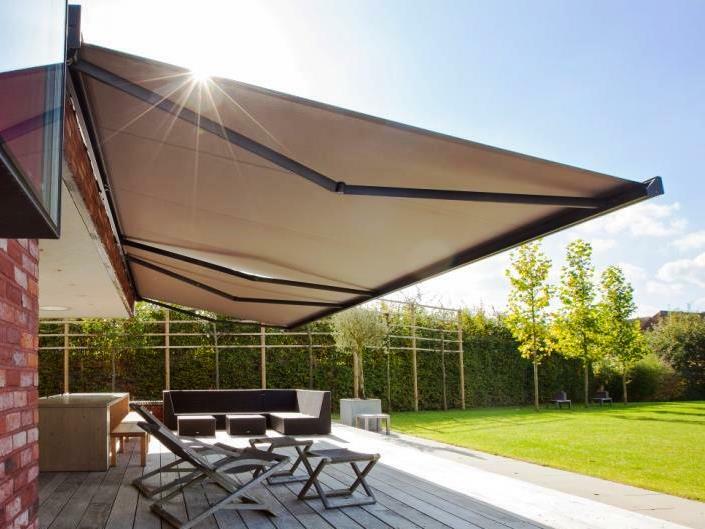 The European solar shading market is full of exciting and stylish shading products that are rarely seen in the UK but which we plan to include in our range. 04.07.2014 Enviroblinds exterior venetian blinds are ideal for blocking out heat, keeping you cool and comfortable inside whilst still allowing sunlight into the room. External venetians perform better than internal venetians because they reflect the heat away before it gets through the window. 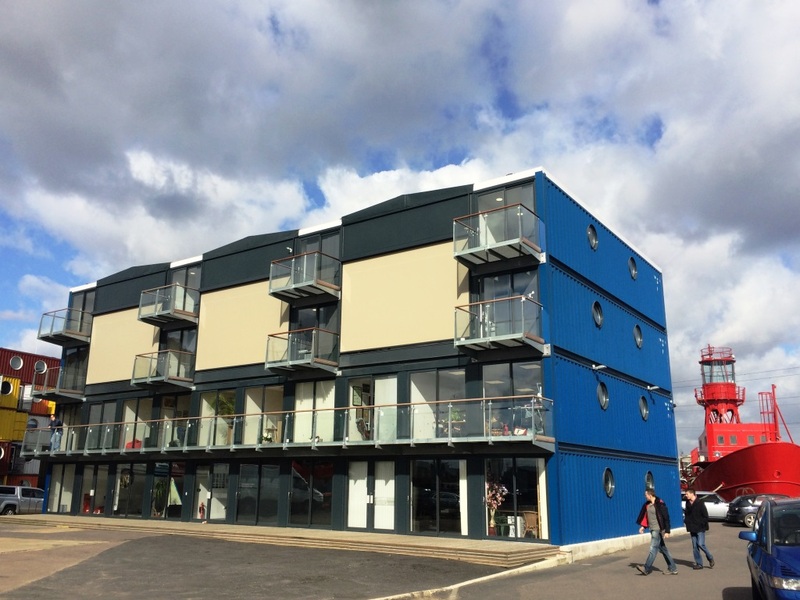 The special design of the aluminium slats and connecting system offers a compact and robust system which allows installation up to a width of 5 metres. These adjustable blinds not only look modern and stylish but are also extremely functional, fully closing to protect against the weather with optional wind and sun sensors. 09.07.2014 “Nine out of ten hospital wards may be at risk of overheating, increasing the dangers for vulnerable patients” reports the Telegraph. Enviroblinds external shading devices can be retrofitted to most windows and reduce the solar heat gain by up to 90%, this significantly improves comfort and reduces indoor temperatures. 04.07.2014 Enviroblinds external shading devices are much more effective in providing passive cooling than window solar film and internal curtains. Our shutters and screens prevent heat loss during cold weather, solar film has no impact on this but heavy internal curtains are also effective. 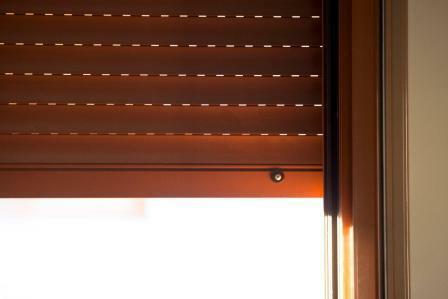 The consumption of energy for lighting a room is very little impacted with the use of our screens and venetian blinds. 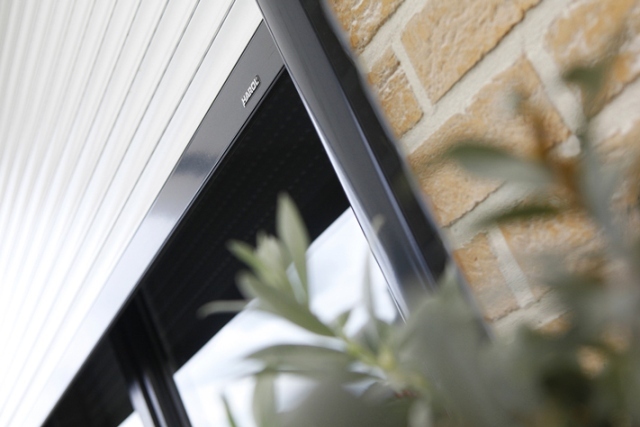 Enviroblinds external shutters are fully adjustable and provide effective blackout. 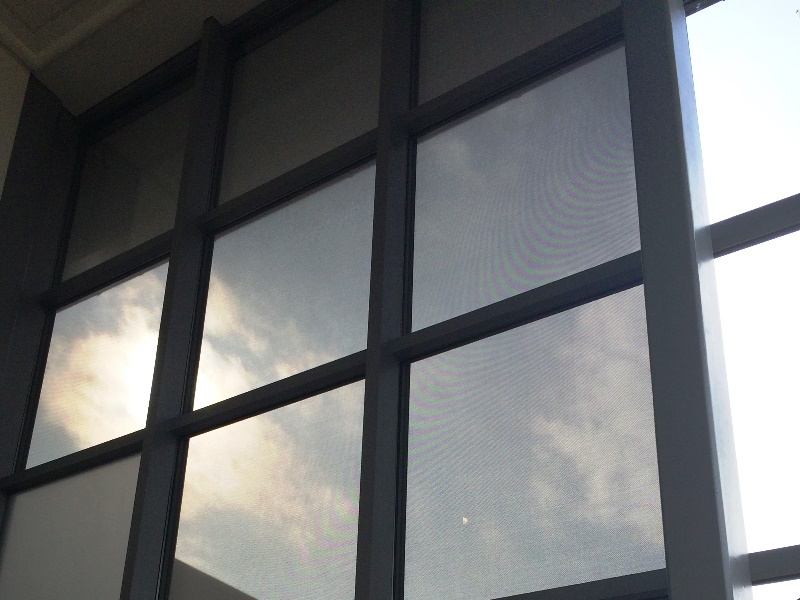 Solar film and drawn curtains result in an increase of lighting demand. 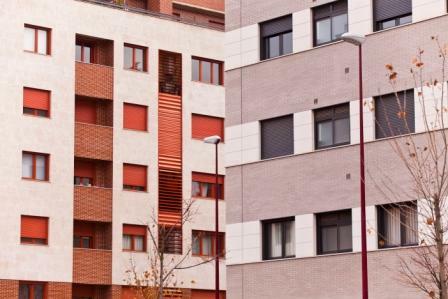 30.06.2014 External shading and adequate ventilation are identified as the most cost effective ways to combat overheating in the UK housing sector. An article by Sustainable Homes focuses on the financial case for landlords to adapt their stock to climate change related changes. Around 8% of landlords have already identified that their housing stock is at risk of overheating. 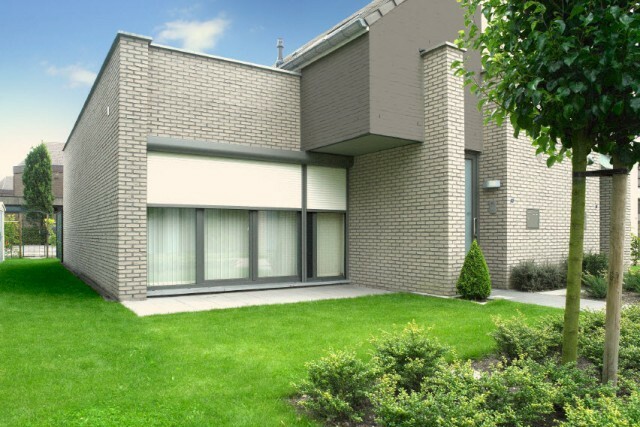 20.05.2014 Enviroblinds add new Harol products to their range of external shading. 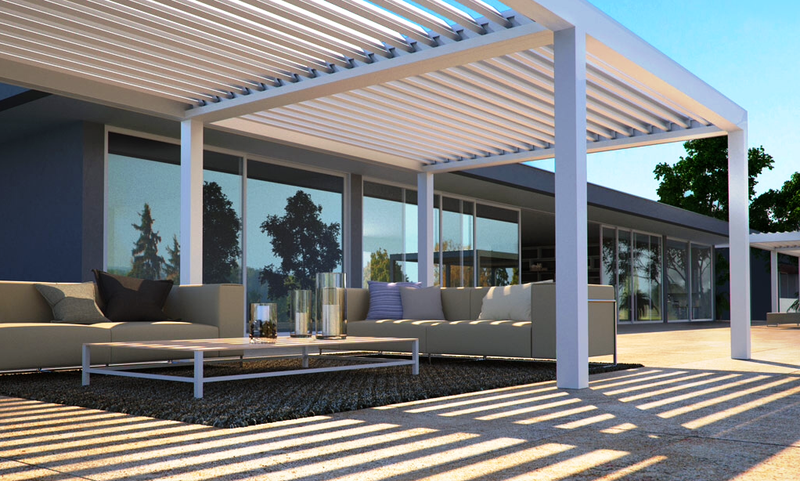 We now offer a variety of patio awnings, pivot awning and terrace awnings. 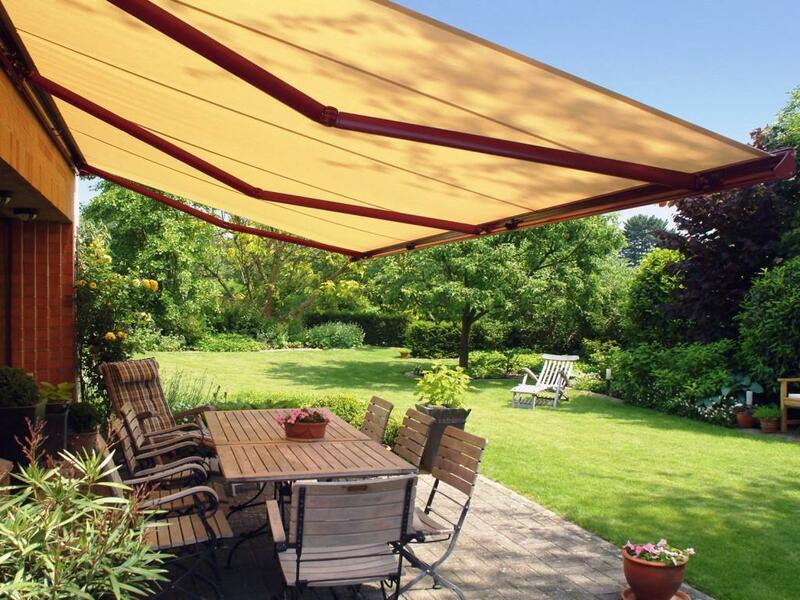 Awnings are ideal for keeping the heat out and can cover large outdoor areas or be fitted just outside the window. Available in over one hundred colours with frames available in all RAL colours, Enviroblinds awnings enhance the external appearance of your building whilst giving a comfortable temperature indoors. Operation can be either manual or electric, with an option for automatic wind and sun sensors. 12.05.2014 Enviroblinds and AMA are featured in the CIBSE Journal Products Special as a high calibre finalist in the Energy Saving Product of the Year category, demonstrating technical excellence within the building services industry. 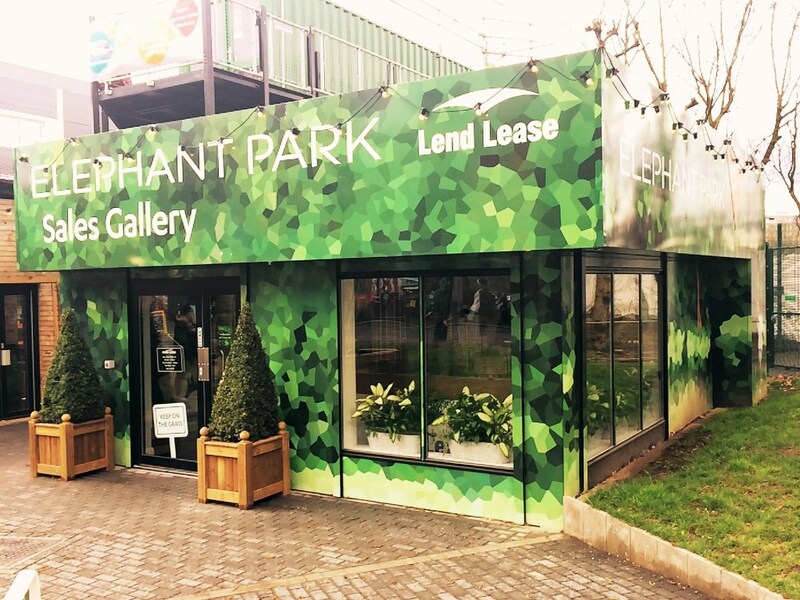 07.05.2014 Enviroblinds are delighted to have been invited to give a talk at the Green Growth Platform launch event about our work in commercialising external blinds in the UK marketplace. The Green Growth Platform is a new University of Brighton led project offering help to environmental sector businesses, and support businesses from all sectors to improve their resources efficiently. 25.03.2014 Enviroblinds insulating blinds prepare your building for the future climate. British summers are likely to be hotter and drier with heatwaves, while winters are milder and wetter but cold spells still need to be planned for. UK’s future climate to be all sorts (BBC). 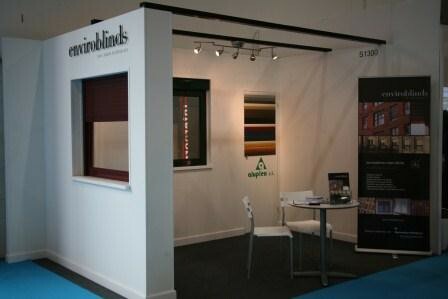 03.03.2014 Enviroblinds are exhibiting our range of blinds made of insulated aluminium and our new range of designer screens. Come and visit us at Ecobuild Stand S1200. 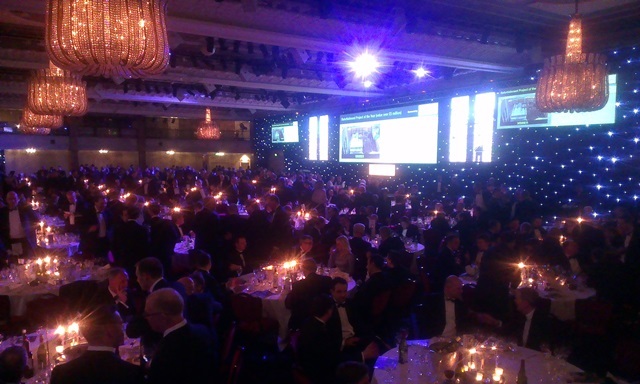 11.02.2014 Enviroblinds were nominated for the 2014 Energy Saving Product of the Year awarded by CIBSE Building Performance Awards and yesterday evening the awards dinner took place at Grosvenor House. Enviroblinds and our associate company AMA attended the event, we all had a great night but unfortunately did not win this year. Enviroblinds is pioneering the use of external roller blinds in the UK as a cost effective solution to reducing a building’s carbon footprint by reducing the need for air-conditioning and heating. 18.11.2013 Enviroblinds include new external screens to our product range. 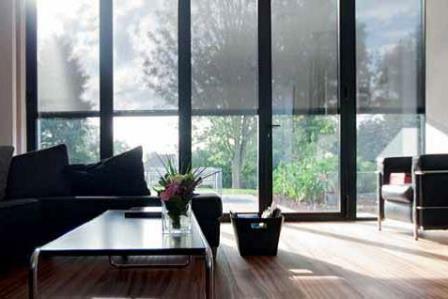 Enviroblinds external roller screens make interiors more comfortable and cool on sunny days. 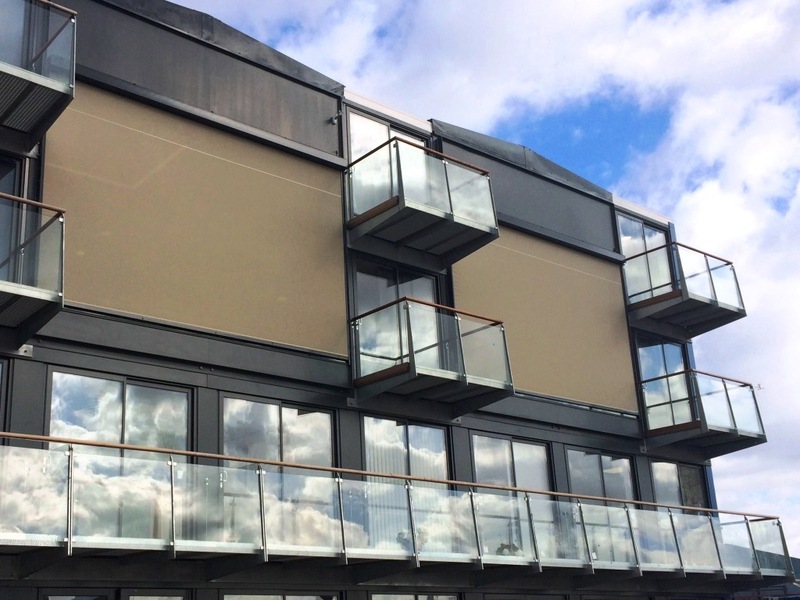 These stylish screens not only enhance the facade of your building but also offer thermal and acoustic insulation, taking away the heat and the glare of the sun. Made from highly durable fabrics, either polyester or glass fibre with PVC coating, these screens are dirt-repellent and offered in a wide range of colours with options for blackout fabric. Other fabrics are translucent, maintaining the view outside and allowing ventilation into the room. 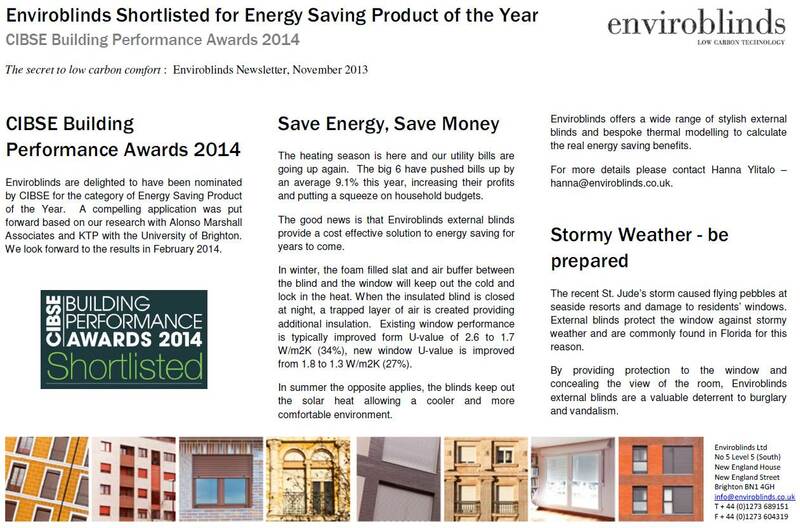 18.11.2013 Enviroblinds are featured in the November 2013 edition of Housing Monthly Diary as an energy saving product. UK Housing is an information service for the housing sector, with focus on raising standards in the social and affordable housing sectors. 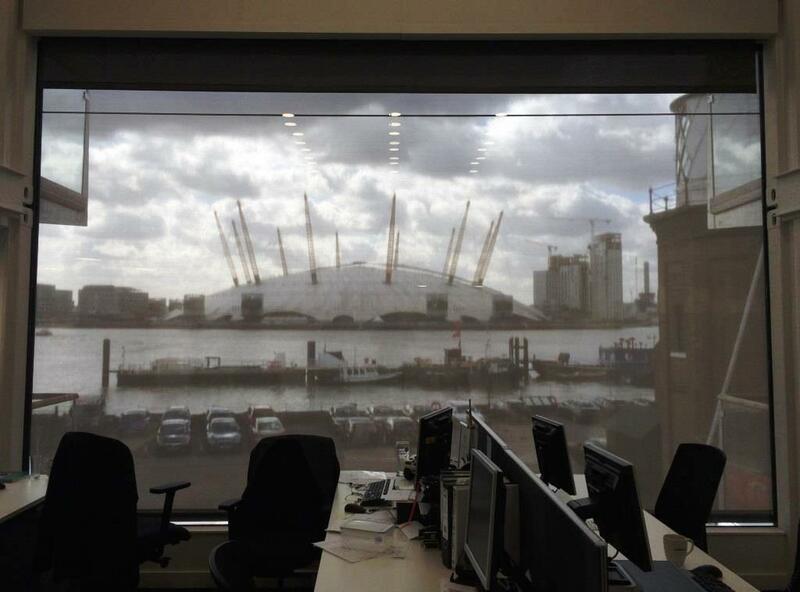 08.11.2013 Enviroblinds were invited by RIBA Product Selector to be this week’s quest bloggers. The article gives our top reasons for choosing external blinds, here is a link to the full article 6 Reasons to Choose External Blinds. 05.09.2013 Enviroblinds read about the importance of external solar shading for all buildings as London’s ‘Walkie Talkie‘ has been found to concentrate the sun’s rays to dangerous effect. External blinds and shutters can be used to stop solar radiation in order to give a sound distribution of daylight and thermal comfort to the occupants and surroundings. 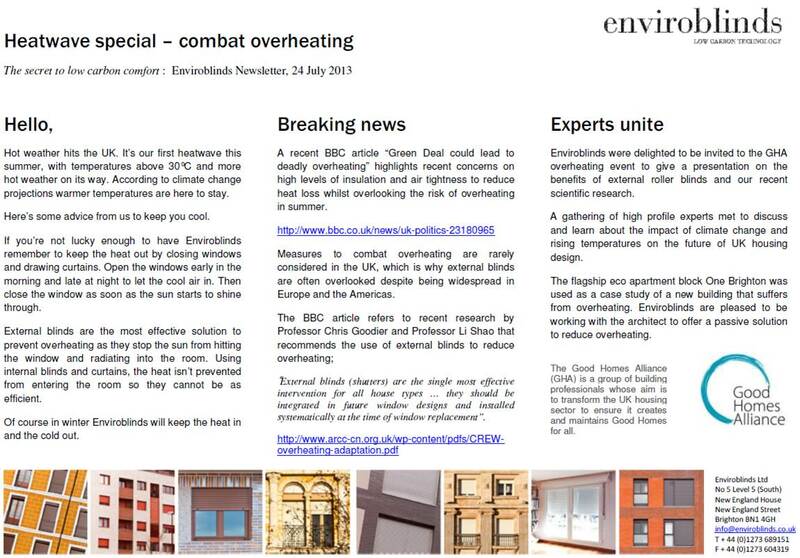 08.07.2013 Enviroblinds recommends the UK Government Zero Carbon Hub guide that introduces the significance of overheating in homes and its causes. External roller blinds (shutters) were found the most effective in reducing the effect of overheating Zero Carbon Hub – Overheating in homes (Defra Guide). 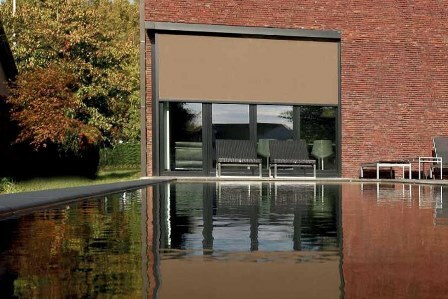 01.07.2013 Enviroblinds are pleased to offer a new range of external roller blinds from HAROL, renowned for their quality and design since 1946. The foam filled, roll formed aluminium blinds offer protection against excessive solar gain by blocking out the heat externally. The systems are fully adjustable and control the level of daylight from no shading to full black out. They also have the added benefit of providing additional insulation during cold weather and improving the sound insulation. These systems can be retrofitted or included as new build systems. 25.06.2013 Enviroblinds give a talk on external roller blinds and their potential to reduce overheating at the Good Homes Alliance event Climate Change and Overheating. More details and the presentations from the day are available here. 20. 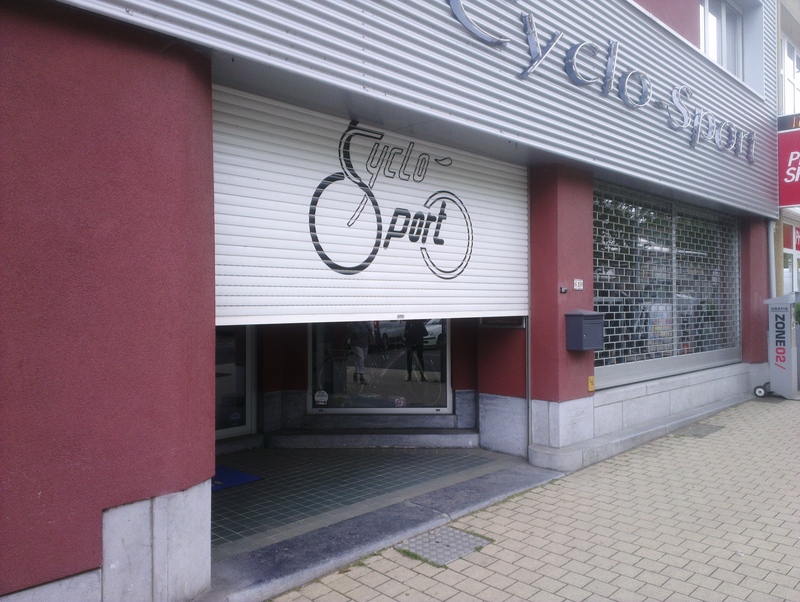 06.2013 Enviroblinds go on a field trip to Belgium where external roller blinds are used extensively. .14.06.2013 Enviroblinds team are at the Eco Technology Show an event for sustainable build, energy, transport and technology. 13.06.2013 Enviroblinds attend KTP Conference in Brighton where Hanna Ylitalo presents a paper and a poster titled “Environmental performance of external roller blinds in the United Kingdom” summarising the AMA and University of Brighton knowledge transfer partnership to date. 07.05.2013 Enviroblinds academic paper “Environmental performance of external roller binds retrofit for offices in the United Kingdom” presented by Dr Kenneth Ip, University of Brighton, at the CIB World Building Congress. 03.05.2013 Enviroblinds recommends an article about the effects of thermal comfort on a person’s mental and physical capacity Indoor Air Quality and Behaviour (CIBSE Journal May 2013). 12.03.2013 Enviroblinds demonstrate their sustainability ethos and sign up for Brighton and Hove 10:10, a campaign where all participants cut their carbon emissions by 10% in a year, and keep going the next year. Find out more or join Global 10:10. 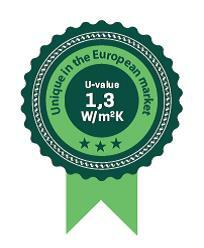 We have also received Carbon Smart Blue Certified Standard for our operational energy. 06.03.2013 Enviroblinds speak to John Vidal, the Guardian’s environment editor. 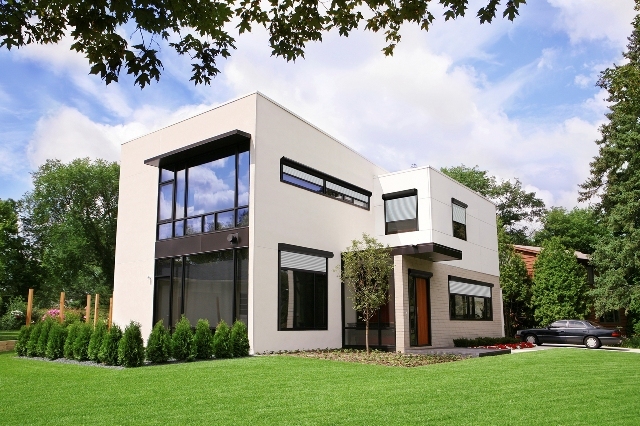 Read John’s article ‘Sustainable houses are becoming the new ideal homes‘ about how green building is going mainstream. 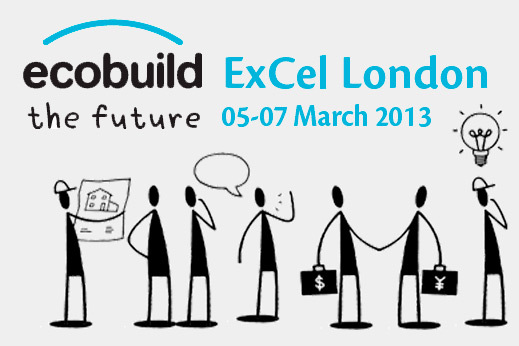 05.03.2013 Enviroblinds exhibit at Ecobuild, find us at stand S1300, ExCeL, London 05 – 07 March 2013. 01.03.2013 Enviroblinds featured in archello, the online platform for architecture and design. 28.02.2013 Enviroblinds support local independent business and order hand screen printed shirts from Heavy Rock Screenprint!, business cards and brochures from 4 Print & Design and exhibition graphics from Exhibit Printing. 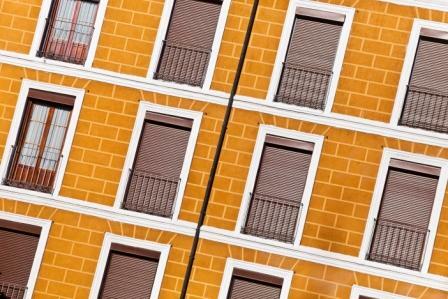 20.02.2013 Enviroblinds visit Spain where external roller shutters are used in most buildings. 12.02.2013 Enviroblinds demonstrate their green credentials by being assessed for the Carbon Smart Certification, a programme that recognises businesses that have taken action to reduce their impact on the environment. 01.02.2013 Find Enviroblinds in the February issues of FX and Blueprint magazines, the leading magazines of architecture and design. 10.01.2013 Enviroblinds secure a stand at Ecobuild, the world’s biggest event for sustainable design, construction and the built environment. Find us at stand S1300, ExCeL, London 05 – 07 March 2013. 20.12.2012 Enviroblinds and University of Brighton complete academic paper titled “Environmental Performance of External Roller Blinds for Offices in the UK”. Paper to be published and presented at the CIB World Building Congress, Brisbane 05 – 08 May 2013. 10.09.2012 Enviroblinds and University of Brighton complete academic paper “Thermal Performance of External Roller Blinds Retrofit for Office in the UK”. Paper published and presented at the EPPM2012 Conference, Brighton 10 – 11 September 2012. 03.09.2012 Enviroblinds begin working closely with the University of Brighton to develop unique thermal modelling which quantifies the low carbon benefits of installing Enviroblinds external blinds. 01.08.2012 Enviroblinds associate company AMA Building Services Consulting Engineers and the University of Brighton are awarded the prestigious Knowledge Transfer Partnership (KTP), a European Programme encouraging academics to work with businesses.